﻿ Dublin Convention & Visitors Bureau - Ohio. Find It Here. Irish is an attitude in Dublin Ohio ... evident everywhere from the city's rolling golf courses and friendly pubs to its quaint Historic District. Wander the brick-lined sidewalks discovering one-of-a-kind boutiques and locally owned restaurants. Take a quick stroll across the Scioto River on the pedestrian bridge and explore rooftop bars, popular taco joints or the Dublin Market at Bridge Park. 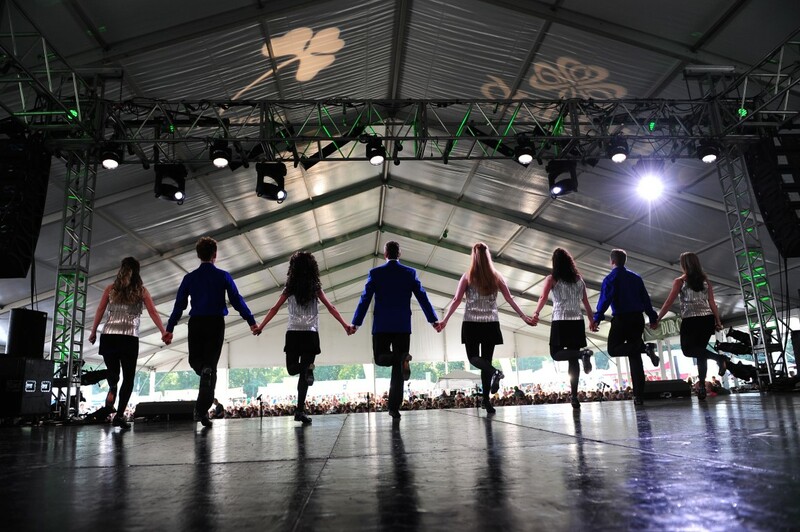 Attend one of the nation's largest three-day Irish Festivals (August) in the world or the PGA Memorial Tournament (May-June). Looking for a great destination for your next family reunion, meeting or group tour? Ask about our 22 unique hands-on Irish experiences just for groups! Dublin is 15 minutes northwest of Columbus and offers the closest hotels to the Columbus Zoo and Aquarium, and Zoombezi Bay Waterpark. Stop by our Visitor Center in Downtown Dublin or call the Dublin Convention & Visitors Bureau for a complimentary Destination Guide. Visit the Dublin Visitor and Information Center to find your next Dublin adventure.